Summer has finally arrived in terms of temperature and humidity. This Traveler doesn't particularly like temperatures near 90 degrees with 75% humidity. The butterflies and dragonflies seem to enjoy it thus I venture out even though I'd rather spend the day lying on the floor near a fan and not moving if I can help it. 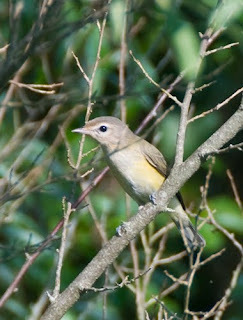 Although it doesn't happen very often while I'm wandering around near where I live, I did see a bird I've never seen before. I saw an Indigo Bunting for the first time last weekend. 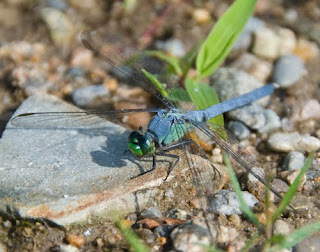 It was like seeing a tiny blue jewel flitting along the side of the long dusty trail I was following. Sorry, no photo though. 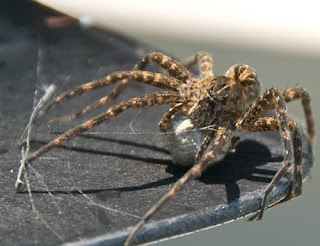 I also saw a fishing spider for the first time. These are also known as water spiders. I was fascinated by its eight eyes that were clearly visible. 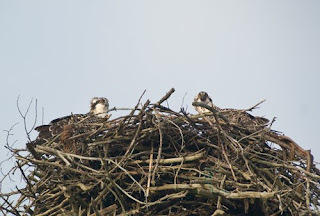 The young osprey at Burrage Pond show themselves. Nice work. 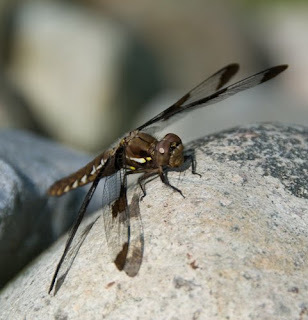 I love the dragonflies and a great shot of the spider. I always like birds.